Composed of five dedicated, full time associates each possessing a unique knowledge blend specific to Investments, Income Tax Strategies, Health Insurance and Life Insurance. At Gallagher Financial, our team is able to dig deeper into your current financial situation in order to help you build a more efficient long term financial plan. It really is as simple as that. We would love to connect with you and address any questions or concerns you might have in regards to your current financial situation. Mark R Gallagher CFP® started Gallagher Financial Services in 1984 when he got licensed and decided to go out on his own. Since that time Mark has acquired many securities licenses including his series 6, series 7, series 26 and series 63, held through Commonwealth Financial Network. Mark is a registered CFP® Professional with the Certified Financial Planner Board and also holds his Minnesota Health and Life Insurance License. On top of that Mark also specializes in income tax preparation for individuals and small businesses. 2014 marks Mark’s 30th year consulting with individuals in Financial Planning, health and life Insurance and income tax strategies. Mark has been happily married to his wife Nancy for 22 years and together they have three children. If you have any questions about your finances that you are unsure of and would like someone to talk to, you are more than welcome to call Mark at the office or E-mail Mark at any time. Cathie McNaughton, Administrative assistant and Office Manager at Gallagher Financial, has been a very important part of the company since the day she started in 1997. In her time with the company, Cathie has developed a strong support background in Investments, Income Tax and Health Insurance. Her main responsibilities center on the processing of Investment related materials. In her free time Cathie enjoys spending time wit her husband Tim, children and grandchildren, gardening reading and cooking. If you have any questions about what Gallagher Financial can offer you, feel free to contact Cathie by Phone or E-mail at any time. Elin Langley joined the Gallagher Financial Team in 2011 as an Independent Insurance Agent. During her time representing the company she has built a vast knowledge base in both Health and Life insurance. 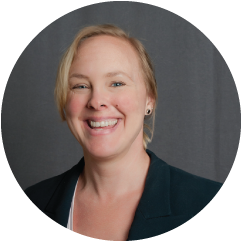 Elin has acquired and honed her expertise in Medicare, Part D, Individual and small group plans, Life Insurance and Annuities. Elin and her husband Keith have two children, and outside of work she enjoys art, fine cooking and traveling the world. If you have any questions about what to look for in a health insurance policy or if your current plan is right for you, you’re welcome to contact Elin by phone or E-mail at any time. Rick Y Tcha joined our company in August of 2013. 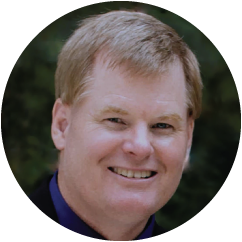 Rick is a graduate of UCLA and is a Registered Para-planner holding FINRA securities registrations 7 and 66 through Commonwealth Financial Network. Rick brings with him a wealth of knowledge from his previous background with New York Life and Ameriprise Financial. He specializes in assisting the advisors with life insurance, financial planning, retirement planning, and income tax preparation. We welcome his broad spectrum of financial service industry knowledge as well as his expertise in tax preparation and tax strategies. He is a valued resource to our team. Rick and his wife Oong recently moved to Saint Paul, from Las Vegas, and enjoy spending time with their son, Jedi. If you have any questions about your life insurance needs or would like a preliminary financial planning consultation don’t hesitate to call us at the office or by email. Jeff Youngquist is in his third year with Gallagher Financial Services, serving as one of our tax specialists. He is also our staff accountant, often providing behind-the-scenes support for tax and accounting matters. 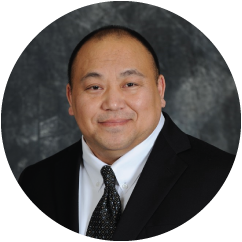 Jeff is QuickBooks Pro certified and has a Finance degree from Mankato State University. Among the variety of hats he wears, Jeff is our in-house technology liaison and our 401k Plan Administrator. His past experiences include extensive small business accounting and 401K administration. He and his wife Kathy have been happily married for 29 years. In his spare time, Jeff enjoys hunting and fishing, outdoor photography and spending time with his extended family. During the summer months, Jeff and Kathy thrive on frequent trips to Northern Minnesota!